These USPSA approved shooters belts from Blade Tech are the last you’ll ever need to buy. They’re designed to be easy-on/easy-off so that you’re ready to shoot at a moment’s notice, holding your revolver holster as well as any other shooting gear you might need. 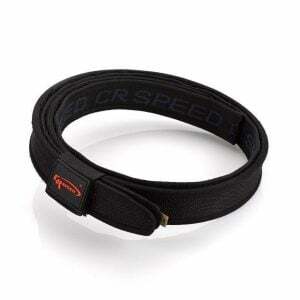 We’ve got eight different sizes of these Blade Tech belts, and be sure to read the instructions to find out which one you need…belt size does not equal pants size due to theses shooting belt’s double-belt design.